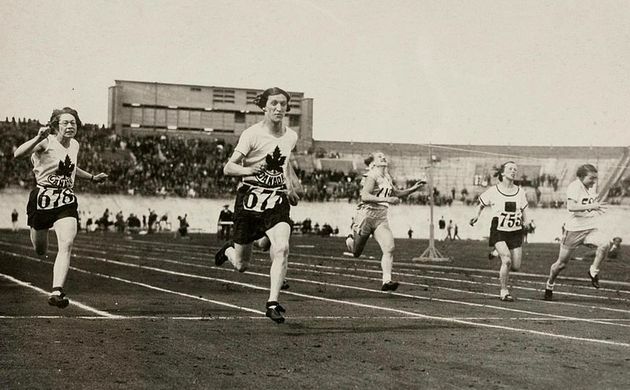 The Amsterdam Olympic Games in 1928 were the first to accept female competitors. / Wikimedia Commons. The Amsterdam Olympic Games in 1928 were the first to accept female competitors. Even though, nowadays, that does not seem a very important piece of news, it was in those days. Many voices protested against women's participation in the Games, and even Pope Pius XI publicly declared that some of the events, like the 800 meters, were inappropriate for a woman. Mankind has taken thousands of years to understand that there should not be discrimination of any kind. For many, even that has not been long enough, for there are still places where people are discriminated against because of their colour, race, knowledge, social class, or... gender. God does not accept discrimination, God does not accept contempt: everyone who defends or tries to justify them is not behaving according to God's will. There is no doubt that discrimination on the grounds of gender has been common throughout history. From ancient times, men have thought of themselves as superior to women for no particular reason. Even today there is much of that discrimination; perhaps the fear of women's higher work capacity is the basic reason for all that prejudice. At other times, women have been considered mere sexual objects - which has resulted in their role in history being forfeit. Whatever the reasons given for the discrimination, there has always been only one reason - sin. God created all human being equal. The Bible teaches us many things regarding discrimination. God has used men and women without distinction throughout history - men and women full of his power who obeyed his call. Women like Deborah who made the enemy army flee, when the men who surrounded her were too scared to go into battle. And this woman was able not only to win the battle with the power of God, but also to lead a whole people to spiritual revival, to a renewal with God. There have been many times when men were afraid of situations that they could not control, even some occasions, when the greatest warriors have not dared to take the definitive step that God had demanded from them. And that has often been when women have proved the foolishness of their discrimination. Any woman is as essential to God as any man.